Community members flocked to the Bradbury. Those of all ages enjoyed the activities! 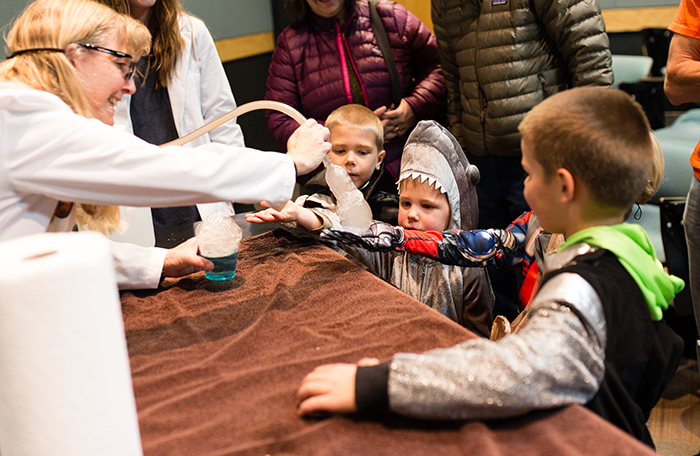 More than 1,800 children and parents joined in the fun for this year’s High-tech Halloween. Held in conjunction with Los Alamos’ Trick or Treat on Mainstreet, participants could partake of many different activities. Optics, pumpkin-carving, and critters of all kinds were available, with a little physics and chemistry on the side.